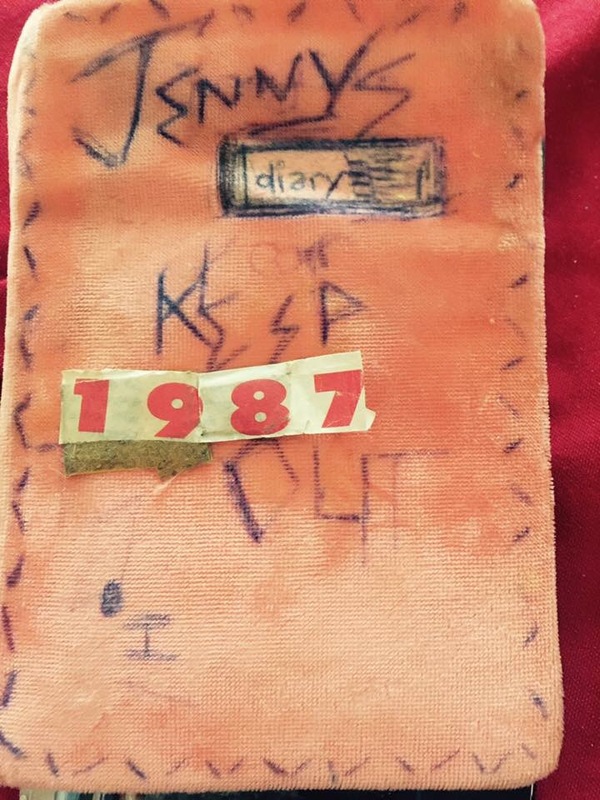 Many people kept a journal as a teenager or a newly minted adult and they would feverishly write the minutiae of their intense lives, where every interaction held a world and every mood was an overwhelming wave. We had a song for every moment, and we felt every caress like an overture of passion, every snub as a deep wound. Then at some point we grew ashamed and embarrassed of these soft born beings blooming into adulthood, bursting with pettiness and starry eyes, full of feeling, and awkward as hell. This new project ties into my piece ‘The Songs that Saved Your life’ and is called ‘this is who i was then’. It’s about an artistic representation of our repressed selves and also an active collaboration between you, the one with a journal you somehow didn’t burn, and me, the artist who shares your lived experience and revels in the you that you find so embarrassing, who you were so keen to bury in your growing up. I would like to immensely thank the brave women (so far) who have allowed me to share their pages on this blog. We may hear their back stories later. Please feel free to share with me, in the knowledge I will never identify you, judge you, or mishandle these precious archives.